I created the above program in 2014 for attendees of the UNIMA Congress and World Puppetry Festival. I studied modern and indigenous Cuban designs and rendered characters from the film program in a facsimile of that style. 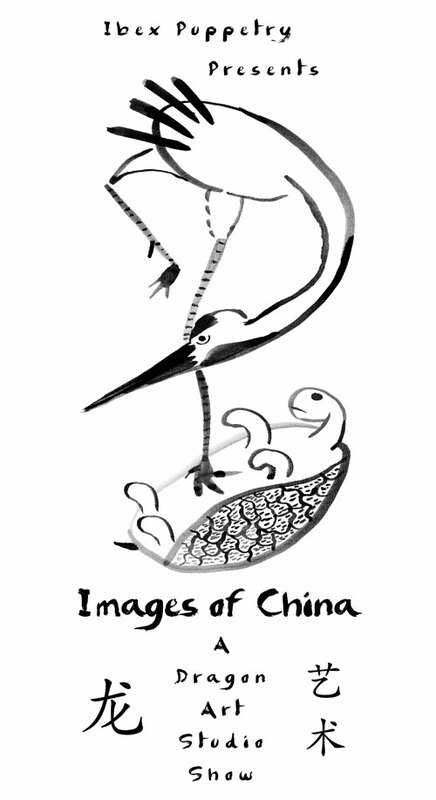 I rendered the artwork on this program using a brush and ink after researching traditional Chinese art. I incorporated a simple brush-style font and a black and white color scheme. I was tasked with creating a catalog of Ibex Puppetry’s educational programs to inform prospective clients about the company’s offerings. I designed the layout, shot most of the photographs, and collaborated with the Education Director for the copywriting. As a production company that regularly presented different performance groups, Ibex had a regular need to promote them on social media. These are a few of the header graphics I designed, each with its own design ethos informed by the show. In 2017 I designed and printed holiday greeting cards based on the legend of the Krampus. In 2014 I designed a poster for the Wham Bam Puppet Slam in Asheville, North Carolina, which I also hosted and performed in. I worked on this design starting in 2012 as an illustration to be sold in my shop. I have printed and sold it in extremely limited quantities.